Sexual harassment training helps all employees - including bystanders - address unwanted and unlawful sexual harassment in the workplace, and learn how to respond if an unfortunate event does occur. Try this Sexual Harassment training now! Now more than ever, news headlines report rampant, high-profile sexual harassment allegations almost daily. While employers are responsible for creating a safe work environment, for some there's a clear misunderstanding of what "safe" actually means. Help all employees address unwanted (including unlawful) sexual harassment in the workplace with this sexual harassment online course. Sexual Harassment Prevention: (Module 1 of 6) What is Sexual Harassment? Sexual harassment training helps learners understand what sexual harassment is, where it can happen, who it can happen to, and possible consequences for all involved. Available in English or Spanish. Now more than ever, news headlines report rampant, high-profile sexual harassment allegations almost daily. While employers are responsible for creating a safe work environment, for some there's a clear misunderstanding of what "safe" actually means. This program helps learners understand what sexual harassment is, where it can happen, who it can happen to, and possible consequences for all involved. Sexual harassment training helps learners understand what is crossing the line when it comes to sexual harassment, how to treat others with respect and hold each other accountable, and how to put an end to "normalizing". Available in English or Spanish. This program helps learners understand what is crossing the line when it comes to sexual harassment, how to treat others with respect and hold each other accountable, and how to put an end to "normalizing". Put an End to "Normalizing"
Sexual harassment training helps learners determine if something is considered sexual harassment, how to confront the harasser, how to document the situation, how to follow workplace policy and how to take the situation to the next level if necessary. Available in English and Spanish. 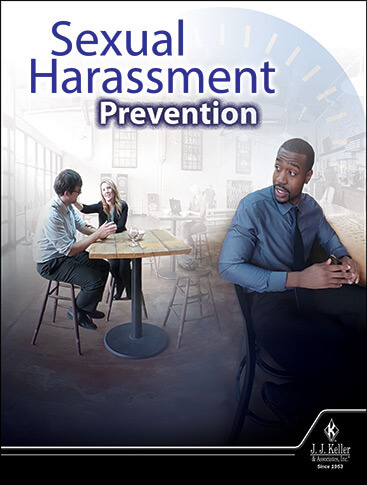 This program helps learners determine if something is considered sexual harassment, how to confront the harasser, how to document the situation, how to follow workplace policy and how to take the situation to the next level if necessary. Sexual harassment training helps bystanders understand how to stop the harassment, console the victim, document the situation, and report it to the appropriate people. Available in English or Spanish. This program helps bystanders understand how to stop the harassment, console the victim, document the situation, and report it to the appropriate people. Sexual Harassment Prevention: (Module 5 of 6) What Happens Next? Sexual harassment training helps learners understand what happens after a sexual harassment situation has been reported, possible retaliation situations, and how to move on afterward. Available in English or Spanish. This program helps learners understand what happens after a sexual harassment situation has been reported, possible retaliation situations, and how to move on afterward. Sexual harassment training helps management understand that preventing sexual harassment starts with them, and teaches them out to respond to a report and how to move on afterward. Available in English and Spanish. This program helps management understand that sexual harassment prevention starts with them, and teaches them how to respond to a report and how to move on afterward.